This custom bobblehead doll can be a special present for your comic-book enthusiast. Turn him into the superhero he's always dreamed of being, complete with a custom uniform! 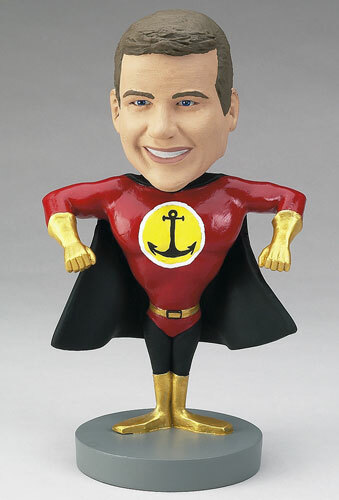 You can also personalize this bobblehead to give to your father on Father�s Day, reminding him that he'll always be your superhero.